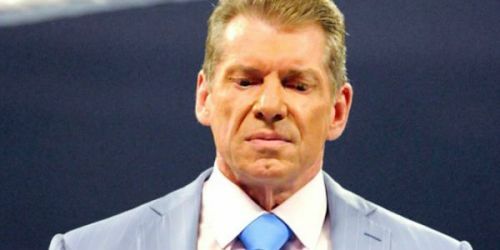 Is WWE playing it safe? Lars Sullivan has made quite a predictable impression ever since debuting on the RAW after WrestleMania 35 to attack Kurt Angle. The former NXT Superstar has followed the tried-and-tested formula of laying waste to a host of Superstars on a weekly basis. Rey Mysterio was his latest victim this week. An interesting observation was made by Dave Meltzer regarding the assault as it seems like the WWE may have banned a potentially unsafe move in Sullivan's arsenal. Believe it or not, Sullivan has been with WWE since 2013 and made his NXT TV debut four years later in April 2017. He was booked as the rampaging monster and was all set to make his main roster debut in January 2019 in a feud against John Cena, before he was struck with an unfortunate panic attack. The nervous breakdown prolonged his eventual main roster call-up which finally happened on the RAW after Mania. Sullivan has since attacked Kurt Angle, Rey Mysterio, and the Hardy Boyz in a span of two weeks and looks set to continue on his destructive path before he gets a proper feud. However, he may do so without one of his most eye-catching maneuvers. It was noted by Dave Meltzer on the latest edition of the Wrestling Observer Radio that Sullivan didn't use the diving headbutt on Mysterio, which may indicate WWE nixing the move altogether. Diving headbutts have always come under the grey area in the company as the move was most recently blamed for Daniel Bryan's lengthy battles against concussions. The fans have been vocal about the move being harmful to the superstar executing it ever since Chris Benoit's unfortunate CTE saga. Harley Race and the Dynamite Kid also suffered from physical issues from using the move extensively throughout their careers. The bottom line is that the move is unwanted and the fans would rather not watch a big guy do it every week. WWE needs to play it safe here. Sullivan doesn't need a diving headbutt to get himself over and can do without the controversial move. However, is the move actually banned or will he do it less frequently going forward?